Basically a self-contained, compact sound system, the KB3 keyboard amplifier features 60 watts of power driving a 12 inch speaker. 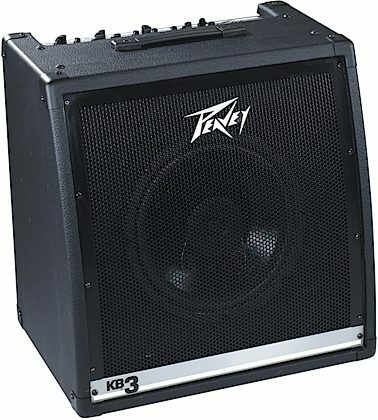 A perfect amp for voice, keyboards, acoustic and electric guitar, drum machines and backing machines. All three channels feature a 2-band EQ with the third channel having a mid-frequency control so you have complete control over your vocals. Plus it has a headphone and master level control. The KB3 keyboard amplifier features a balanced line out, headphone jack, effects loop and an external speaker jack for those larger clubs. 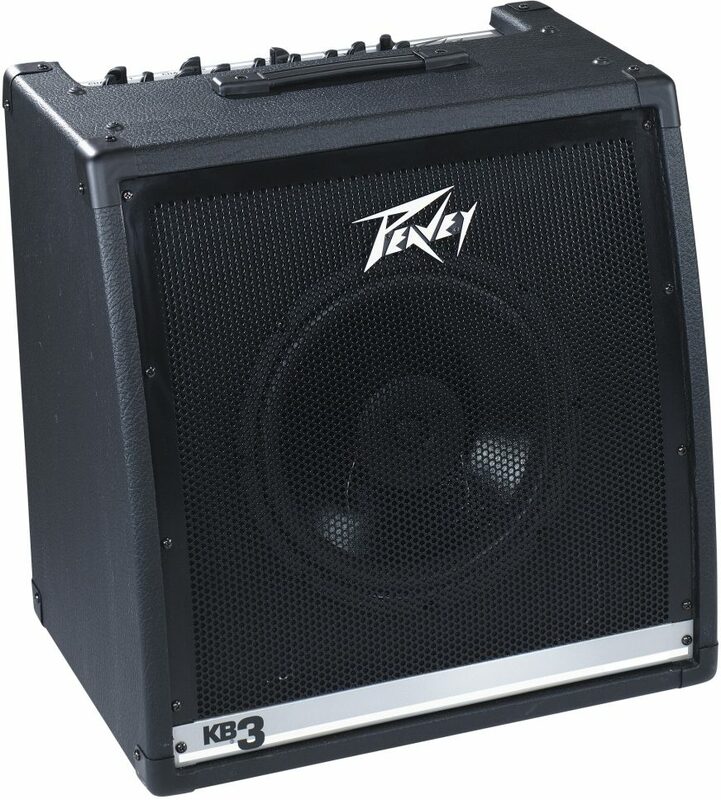 Whether you need a small, home keyboard amp or a high-output concert model, Peavey's KB Series is as versatile as your playing. Sound: Great sound,i use this one for my yamaha keyboards,DGX520,PSR S700,lot better compare to the KB2,day and night for quality sound. Overall: I try 3 apms for my keyboards,this one is the best i try,good price,very satisfied,stay with it. Style of Music: country,blues,pop,western,big band style.